In 2014 has been manufactured vessel Bavaria Cruiser 56 called Bav C 55- GRE. She is based in port Athens around Athens in Greece. You can board up to 12 pax on the vessel Bav C 55- GRE. Arrangment of sleeping places is 12. There are 6 bedrooms located under boat's deck. Bav C 55- GRE has 4 WC. Get more other vessels here: Yacht charter Athens. Tank for fuel is 280.00 l liters capacious , tank for water has up to 690.00 l l. In this sailing boat is applied engine 100 hp Yanmar. 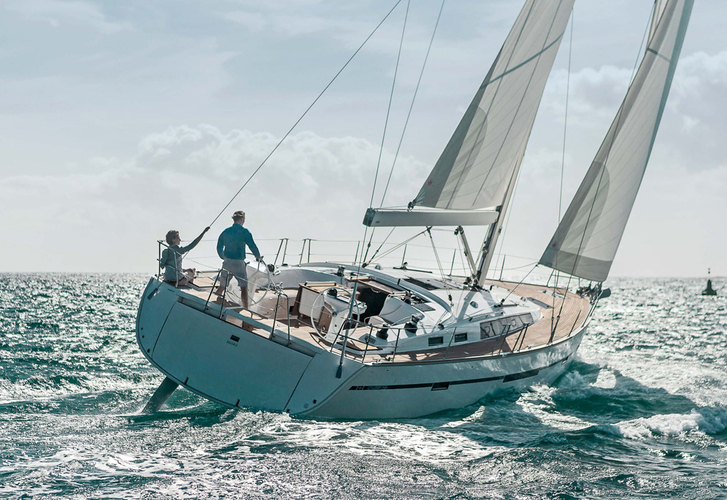 With 16.75 m of lenght and 4.76 meters of width Bav C 55- GRE provides enough space for comfortable sailing. Nonrefundable deposit has value 3000.00 EUR. You can get more vessels in this site: Yacht charter Athens.